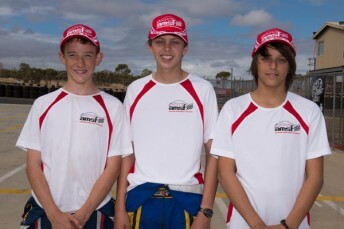 The Australian Motor Sport Foundation (AMSF) has announced six of Australia’s top young kart racers will form its 2013 Rookie Rising Stars scholarship program. The program will be headed by two of Australia’s most successful young drivers over the past few years, Joseph Mawson and Pierce Lehane. They will be joined by Kosmic Racing Australia driver Joshua Smith and three young guns – Joshua Denton, Bryce Fullwood and Nikola Mitic. Mawson, who was first supported by the AMSF’s Rookie Rising Stars program during 2012, was victorious at the final round of the CIK-FIA World Under 18 Karting Championship in Bahrain last November. The New South Welshman, who is this year competing full-time in Europe in the KF category with the Top Kart Racing Team will once again form a significant part of the program in 2013. He will contest the WSK Master and Euro Series, the CIK-FIA European and World Championships and several other events against the best young drivers from all across the world. “It is great to be a part of the Australian Motor Sport Foundation again in 2013,” said Mawson. “Last year I competed in the World Under 18 Championship thanks to the support of the Foundation and we have a great result in Bahrain, which was an amazing highlight. Lehane, a four-time Australian Champion is this year focusing on the Rotax Max Euro Challenge while also contesting the major events in Rotax Light across Australia. 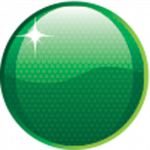 Smith was a part of the AMSF’s Rookie Rising Star program in 2012 when competing in the CIK-FIA Asia-Pacific KF3 (Junior) Championships. This year Smith is continuing to compete in Australia’s elite series, the CIK Stars of Karting Series, and is also planning on competing in several overseas events. Denton and Fullwood, who were both victorious last weekend at the Australian Karting Nationals, along with Mitic, are newcomers to the AMSF Rookie Rising Stars scholarship program. “The involvement of more young kart racers is the next step for the AMSF in assisting young drivers achieve their goals in Australian motorsport,” said AMSF Chairman Geoff Morgan. “The drivers we’ve identified are spread throughout three levels of their karting careers, led by Joseph and Pierce who are two of the country’s most promising young stars. 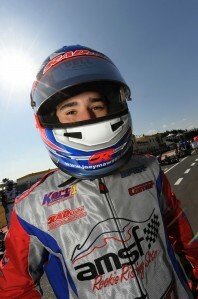 “Joseph’s win last year in Bahrain was a great sign of Australian talent and we look forward to more success for our new crop of AMSF Rookie Rising Stars drivers during 2013.